I have no idea why this koala is wearing a teapot on his/her head. But if there’s a funny caption that can round this off into a screamingly funny joke, then that’s where your job comes in! We have a winner for the previous competition, too. The best caption for the Nov/Dec 2018 set was Gregory, from Olympia, Washington, USA. His contribution is here. Click on this link to see the end result and of course the Special Mentions. Doc Rat’s surgery is trying out some new telephone headsets. Unfortunately, Gizelle seems to have upset a spider. Just how and why I’ll leave up to you! We have a winner for the previous competition, too. The best caption for the Aug/Oct 2018 set was Jonathon, from Bairnsdale, Victoria, Australia. His contribution is here. Click on this link to see the end result and of course the Special Mentions. From today, Doc Rat is back to its usual pattern. I hope you were entertained by the my alternative presentations daily, while I was engaged in other things. I want to thank the people at Eurofurence 24 in Berlin for making such a wonderful event with their hospitality and imaginations. I was also pleased to meet others in the UK. Here, dear readers, is the update on the Doc Rat (Platinum Rat Productions) studio. All relocated, set up and working. Now, I’m on a month’s holiday in Britain and Germany, including EuroFurence 24, in Berlin. And now, here a fascinating thing. Have you ever wondered just how far back in time Doc Rat goes? Well, I dipped into my vault of early work and made compilations of the single panel gags. They haven’t seen the light of day since their original magazine publications as early as 1995. But you may spot many of the jokes as ones that later reappeared in the Doc Rat strips we know today. Please enjoy the upcoming procession of gags detailing Doc Rat’s humble origins. And after that, it will be definitely back into new works from the canon. On the bright side, I have managed to create a new caption competition. Click here to have a go! And… the winners of the three pictures from the past year have now being selected! Click on each picture to reveal the winners and all the funniest suggestions. Here, dear readers, is the update on the Doc Rat (Platinum Rat Productions) studio. Having moved office from one building across town to another building, followed by another move across corridor from one room to another, I’ve finally got the furniture shifted, boxes re-opened, wires and plugs connected, and am now making a major marathon effort to build up a four-week bank of Doc Rat for your enjoyment. I thank you for chilling out with the past four weeks of character sketches. But here’s the fascinating part: Have you ever wondered just how far back in time Doc Rat goes? Well, I dipped into my vault of early work and made compilations of the single panel gags. They haven’t seen the light of day since their original magazine publications as early as 1995. But you may spot many of the jokes as ones that later reappeared in the Doc Rat strips we know today. On August 20, I will be departing for a month’s holiday in Britain and Germany. That explains another reason for the pressure: I’m hurriedly making my preparations for EuroFurence 24, in Berlin. Well, my good people, ConFurgence 2018, here in Melbourne Australia, was an excellent convention. It was good to see such a great turnout and such a spread of ages. Thank you for sitting comfortably through the Rat Pause slideshow, in my absence. Now, well get back to the story. Soon, there’ll be the judging of the caption competition and an competition picture. In the meantime, please enjoy a picture of Ben and Daniella, dressed as pirates. And see if you can see the joke in the flag. Oh, and I will be at FurDU at Surfer’s Paradise, Gold Coast, Queensland, from 4th to 6th May. 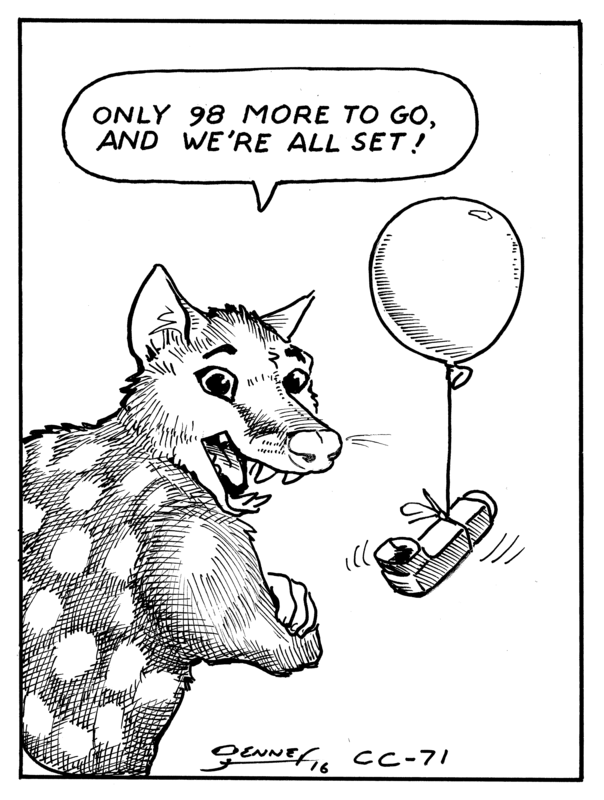 The regular strips of Doc Rat are going to take a pause for a bit – for three weeks, to be precise. Various commitments have taken precedence over my drawing board time, the most important of which is my part in the running of ConFurgence 2018, from 23rd to 25th February. The principal guest of honour will be the wonderful artist, photographer and animator, Joaquin Baldwin. I do thoroughly recommend you consider making the journey to Melbourne, Victoria, Australia, for our annual anthropomorphic convention, one of these years. You won’t be disappointed. In the meantime, even though the regular strips will be on pause, dear readers, fear not. You’ll still get a daily offering, a sort of scrapbook from the Doc Rat sketch vaults. Every day will be a new surprise. 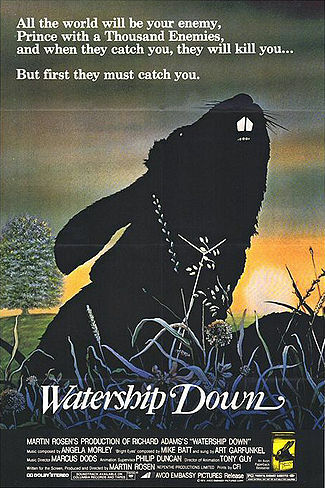 Then, on Monday March 12th, we’ll rejoin the wolves and the rabbits as they toward the climax of our current story. More news about what’s coming up in 2018 will follow. The final caption competition for 2017 is here. We have Jarrad’s friend Macaulay at the computer. He’s a wizard with a keyboard at those feathertips. The Richmond Tigers have won the AFL premiership. September 30th 2017. Pat the Tiger and Pat the Dog went wild! 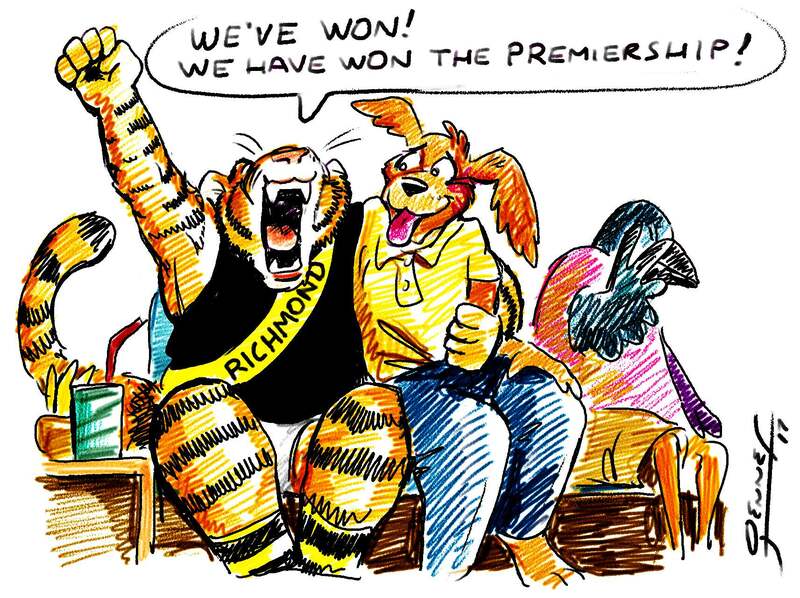 Pat the Tiger is a massive fan of the Richmond Tigers AFL football club, in the game we call Australian Rules football. Pat and his partner Pat the Dog have just been watching their mighty Richmond Tigers at the Melbourne Cricket Ground (MCG) for the Grand Final. They’ve been shouting themselves hoarse. RICHMOND WINS THE 2017 PREMIERSHIP! For the first time since 1980! Pat and Pat are ecstatic. It’s going to be an exhausting night of celebration for both of them! 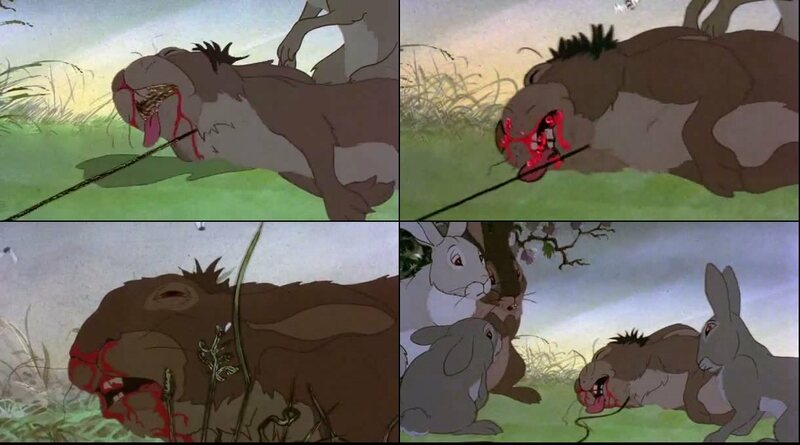 just a recap of the picture. Pertinent, off-the-wall or sometimes just surreal in a perfectly-focused way. So go ahead – try your luck. You could be the next person to find some free, original Doc Rat artwork winging its way to your home. You came up with the perfect motivational message for all people with asthma. How can someone look at this and not smile. Isn’t Jarrad delightful? The prize will be on its way to you soon. Click on the picture to see this joke and all the honourable mentions. And enter the current contest. You too could be a winner. Okay, a little late, I admit, but better late than never. Jarrad is going for a run and demonstrating that he won’t be held back by a touch of exercise-induced asthma. Thank you for a genuinely funny joke that made me laugh out loud at my computer. If you want to read Doc Rat from the beginning, until recently you would have been disappointed to find it absolutely empty from 2006 to 2014. I am working now to restore that. Every week, I load another twenty strips into the archive page, and I’m pleased to report that at this moment it’s up to DR0340, which first came out on October 12th 2007. As it takes an hour out of my working day to do it, and as I work on Doc Rat one day a week, then twenty a week is all I can manage. There’s some good reading to be had, at this stage. 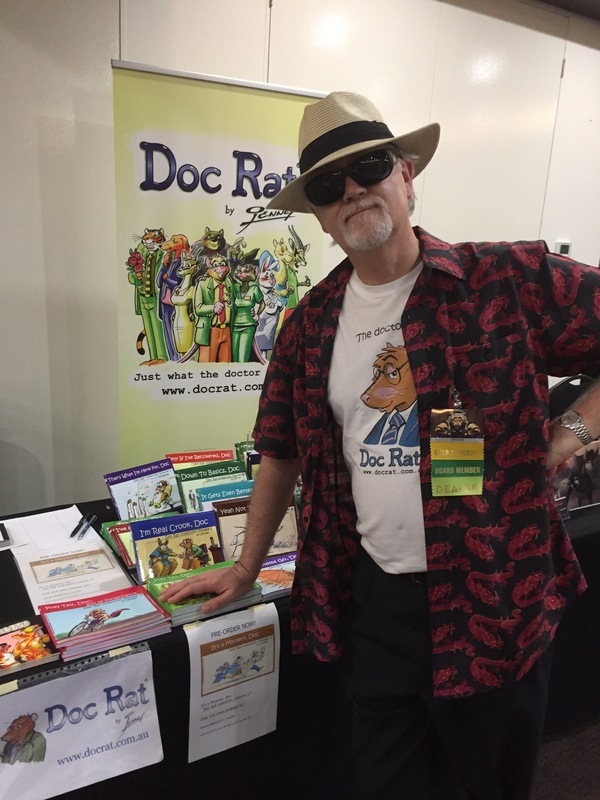 Don’t forget that Doc Rat is also on Facebook and Twitter, both the latest ones and those golden oldies from ten years ago. I will be attending Anthrocon, in Pittsburgh PA, June 29th to July 2nd, 2017. Keep an eye out for me where you see Bill Holbrook, of Kevin and Kell fame. I really look forward to meeting everyone who can make it there. Certainly if you’re already planning to go, then look me up – we can share a sketch and a story or two. 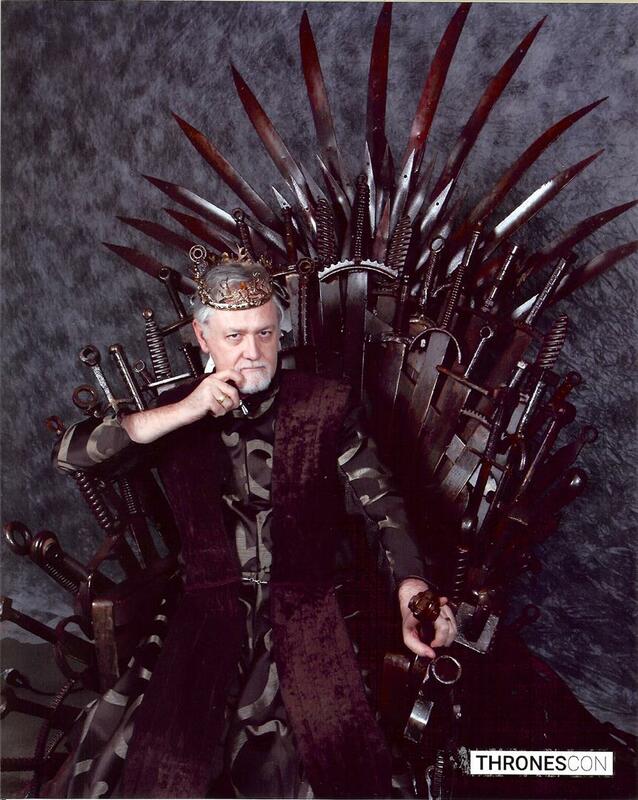 While I’m at it, I must tell you about ThronesCon 2017, a Game of Thrones convention that was held here in Melbourne on the weekend of May 20th and 21st. I had a wonderful time talking, laughing, telling stories, and also selling sketches and my limited-edition prints. As you see in the illustration, the con scheduled four of the cast performers to come to Australia. Although one had to cancel due to sudden unavoidable reasons, we still had great congeniality and conviviality from Dominic Carter (Lord Janos Slynt), Miltos Yerolemou (Syrio Forel) and Ian Beattie (Ser Meryn Trant). 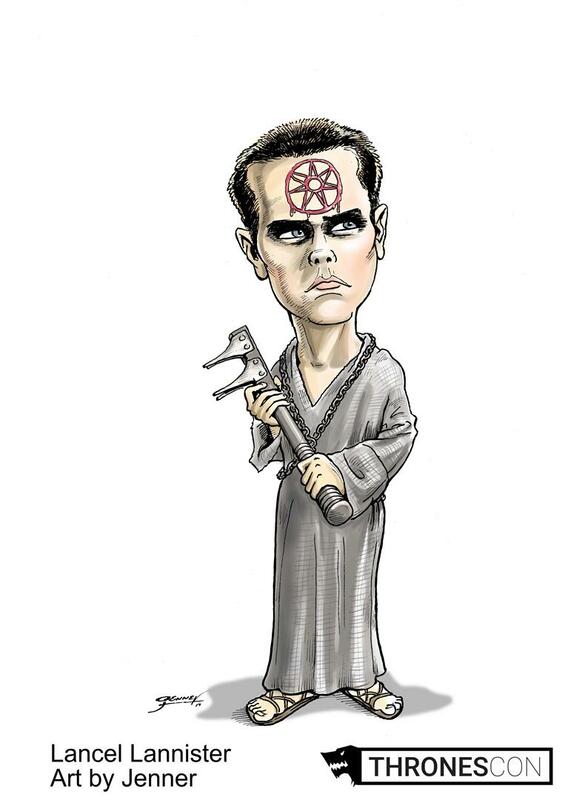 When I can, I’ll give you all a better look at the caricature artwork. Update June 7th 2017. 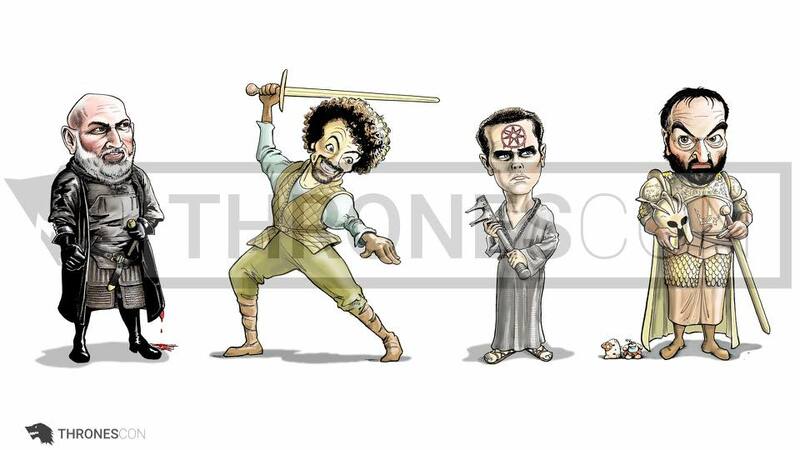 Here’s a better look at my four caricatures from ThronesCon 2017, Melbourne, Australia. 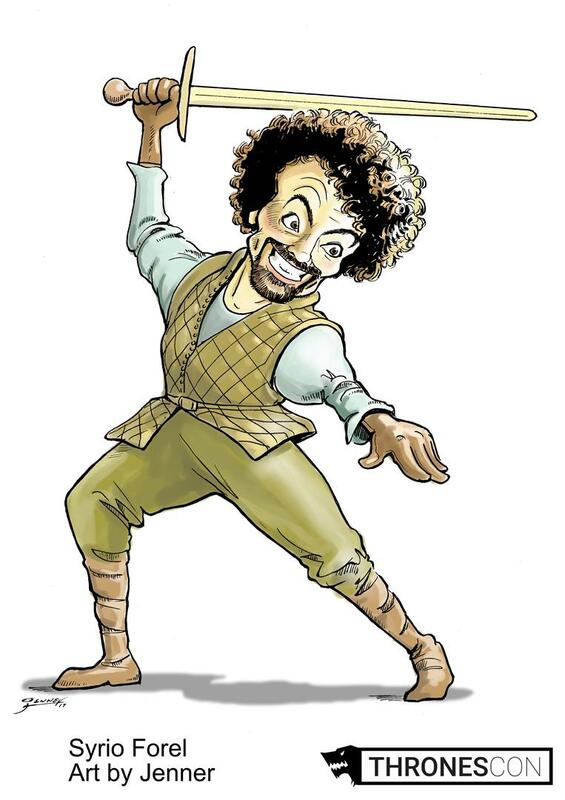 Syrio Forel. Art by Jenner. 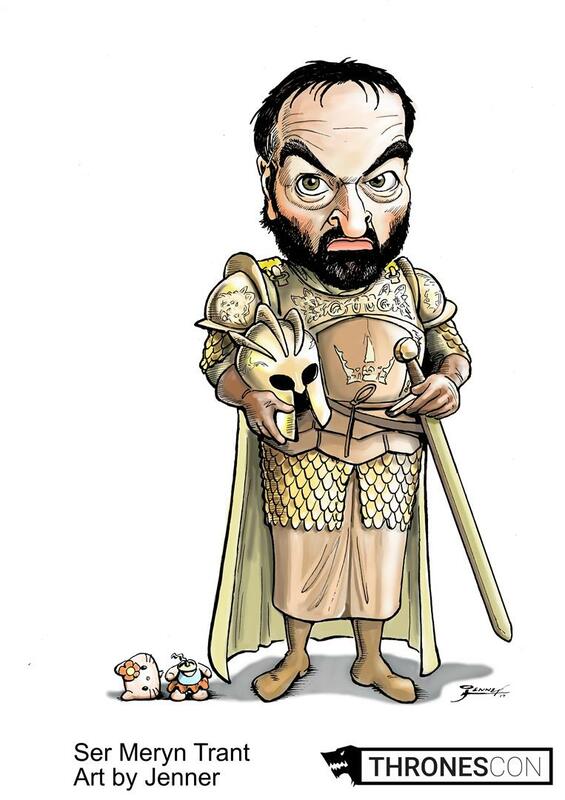 Ser Meryn Trant. Art by Jenner. Lancel Lannister. Art by Jenner. 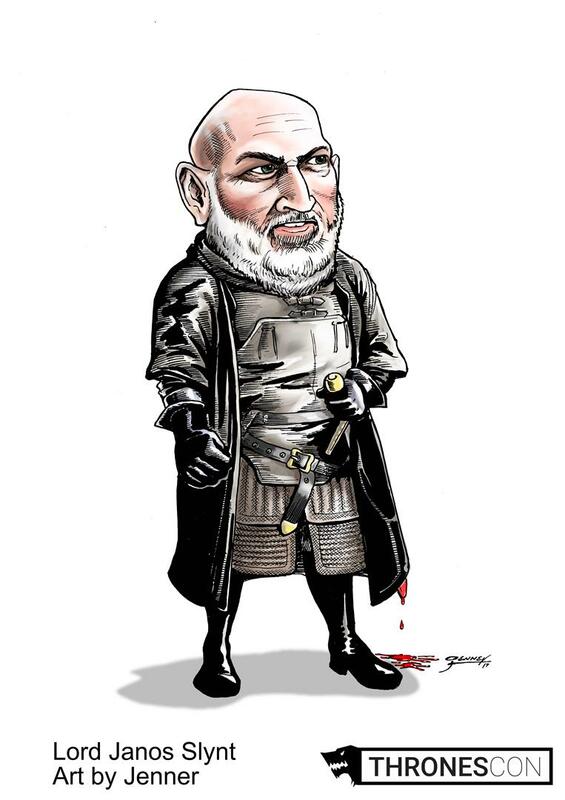 Lord Janos Slynt. Art by Jenner. The winner for the November/December 2016 caption competition is Yvonne “Catbunny” Pawtowski. …and the winner for the January/February 2017 caption competition is Brian Coe. As always, I most enjoy a submission (and as it’s about a suppository, I really don’t want to call this one an “entry”) that adds an extra idea to the whole of the joke. The picture and caption together should give a better end result than the picture alone. See this and the other entries by clicking the link HERE. Congratulations, Catbunny and Brian, your prizes will soon be on their way to you. Here’s the next one, to get you thinking. Remember, if you win the competition, you win the artwork. I don’t care how many goes you have at it. Try some obvious ones and some off-the-wall ones. Just go to the competition page HERE. Jenner will be attending FURDU on the Gold Coast, Queensland, Australia, from 5th to 7th May, and ANTHROCON in Pittsburgh PA, USA, from 29th June to 2nd July.